Are you having a hard time finding a gift for the person who has everything? Give the gift that will last a lifetime! 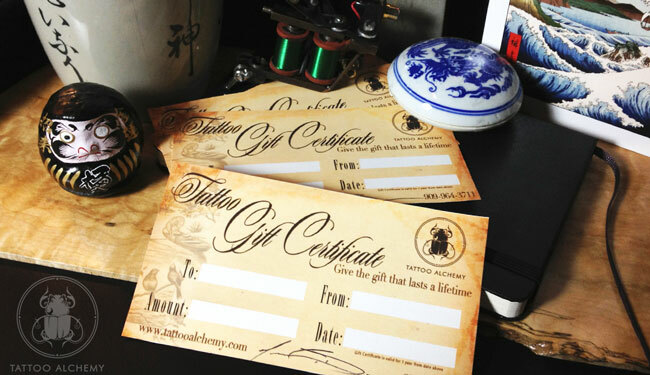 Tattoo Gift Certificates are now available at Tattoo Alchemy for the holidays and year round. Come in now and get your stockings stuffed with with new certificates. Follow Tattoo Alchemy on Facebook!